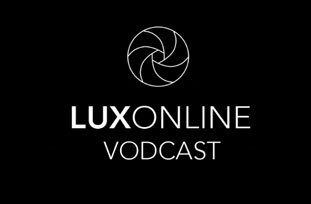 Luxonline Vodcasts are video interviews with Luxonline artists for you to download and watch on your iPod or other mobile device. To download the vodcast, right-click on the relevant link and select "Save As..." or "Save Target As...":. Videos will play in a variety of players, including Quicktime Player, iTunes and VLC. Ron Haselden has exhibited his installations and light and sound works extensively and was an active part of the Expanded cinema movement in the early 1970s. An artist and filmmaker, her work including Crystal Aquarium (1995) and Kettles Yard Trilogy (2008) has been shown at art venues, on television and in film festivals internationally. Filmmaker and theorist, author of Visual Pleasure and Narrative Cinema and director of six films with Peter Wollen, including the seminal Riddles of the Sphinx (1977). Internationally renowned artist and filmmaker whose work includes The Black Tower (1985-7), Hotel Diaries (2001-7) and perennial favourite The Girl Chewing Gum (1976). My films want to haunt you and stay with you, leaving voices, images and thoughts long after their end. I have come to realize that my main interest is in creating experiences rather than concepts. Film changes our awareness of time. The photographic image has always been central to Sarah Pucill's filmmaking process. Angela Kingston is an independent curator with a strong interest in artists' films and videos. Art for me is about defining many different forms of reality. My work is improvised around a sense of the now. My practise explores the nature and role of language in intercultural communication. I have used the characteristics of film and video to suggest the beauty and fragility of the natural world. Freelance designer, photographer, film director and producer since 1959. His videos and performances question notions of representation and identity.